Registration Information - NOW OPEN ! 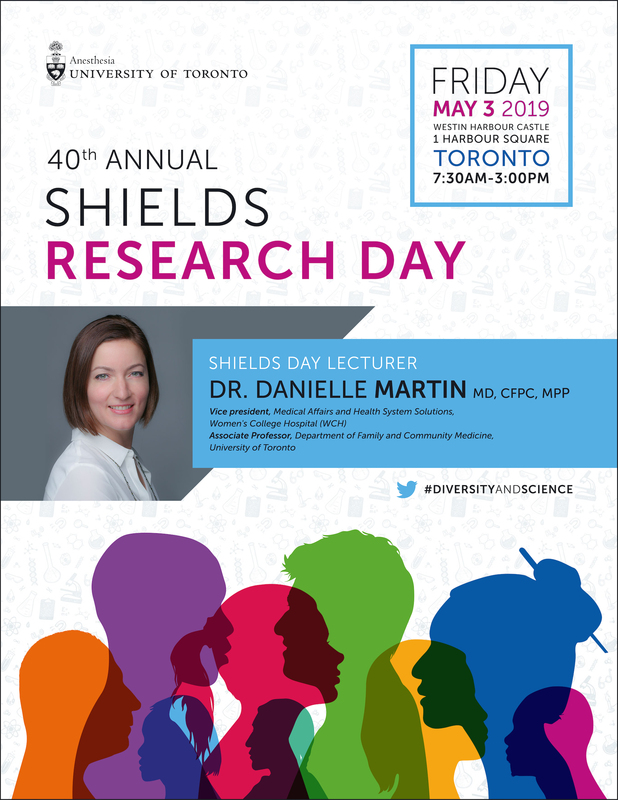 We are pleased to announce that the 40th Annual Shields Research Day will be held on Friday, May 3rd , 2019 from 7:30 a.m. to 3:00 p.m. The location will be at The Westin Harbour Castle - 1 Harbour Square, Toronto, ON. The overall purpose of our Annual Shields Day event is to bring together our clinical faculty, fellows, residents and anesthesia assistants from the University-affiliated hospitals. Shields Research Day aims to provide a forum for updates on, and stimulate further research into the frontiers of clinical science with regards to anesthesia and related topics (e.g., critical care management, obstetrical anesthesia, pain management, etc.). We have been growing in recent years! As such, we encourage early registration.